Why study at “Andrija Stampar” School of Public Health? 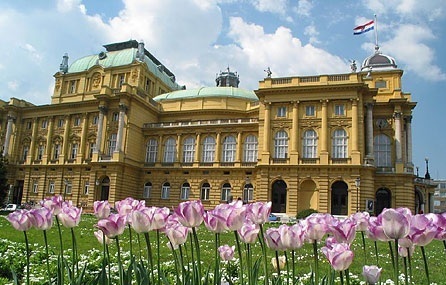 The Zagreb School of Medicine is offering a student-centered program, integrating the basic medical sciences with the highest standards of clinical education, professional and ethical principles, all applied through the best practices of medical education. The study of medicine lasts six years and at the moment we have 300 regular students per year and 30-50 students on Medical Studies in English. The Department of Family medicine is involved in organization of undergraduate Family medicine subject (140 hours: 20 hours lectures, 40 hours seminars and 80 hours of teaching practices) which takes place in the 6th year of the study. The Department of Family Medicine organizes electives for all six years of Medical School and postgraduate study for vocational trainees in Family Medicine. There are 50 teaching and research practices where students can have their clinical education in Family Medicine. Candidates need to have a B2 knowledge of English language. It would be great if the candidate is familiar with Croatian language for direct contact with patients but it is not necessary. Research electives are in Croatian language only. Costs for accommodation have to be expected to be around € 200,- per month in a completely renovated dormitory of the School of Public Health with bathroom in every room and cleaning assistance. Designated applicants should contact us as early as possible, at least three months in advance. The capacity is 30 single rooms, which will be used by other guests and foreign students as well.